Dunwoody College of Technology will begin to offer housing to students this fall thanks to a partnership with Stadium View, the College’s official housing partner. 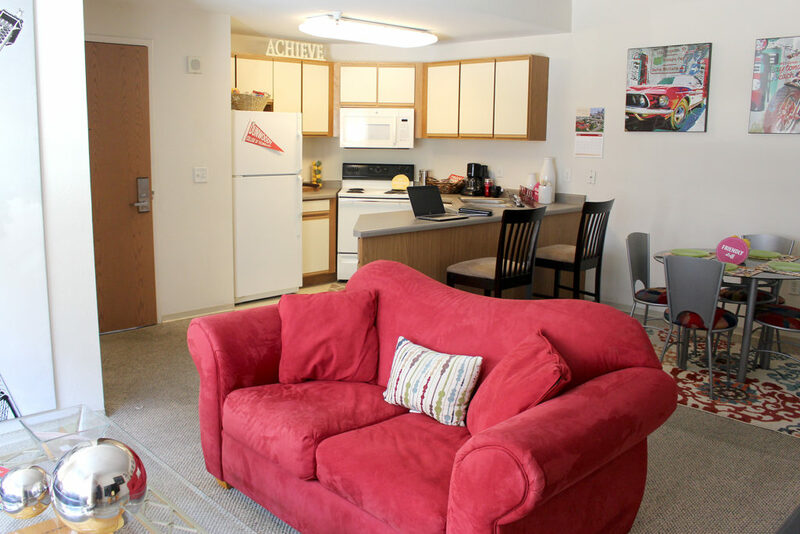 The off-campus housing agreement is the first of its kind for the College, and follows other exciting Dunwoody changes—including a nearly 24,000 square foot campus renovation, which began last December 2017. The project includes a $10 million dollar re-construction of the College’s gym. The new space will be transformed into Learning Commons for current students as well as a Welcome Center for prospective students and guests. Construction is expected to be complete in August. Located in the Dinkytown neighborhood of Minneapolis, the new student housing community offers two, three, and four bedroom apartments, fully furnished, with a common living, dining, and kitchen area. 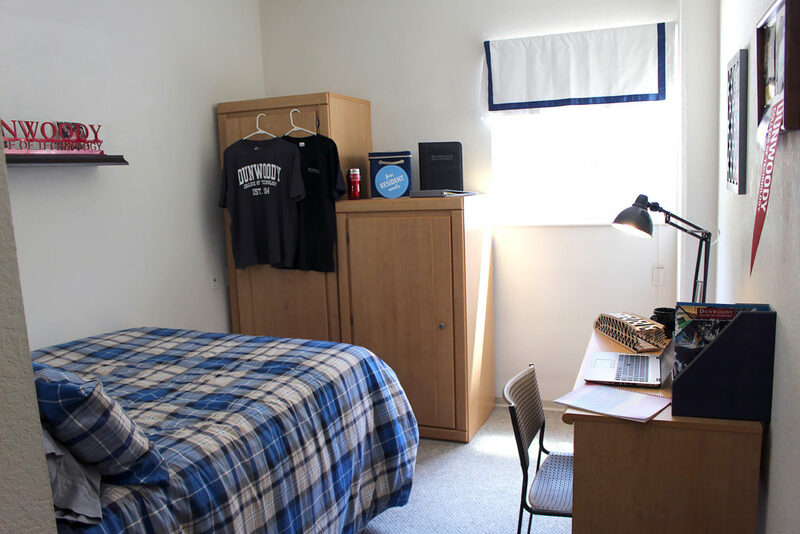 Each bedroom has an attached, private bathroom as well as a study area. Residents will benefit from a concierge service, a movie theater with gaming consoles, fitness center and yoga studio, game room, and business center. Dunwoody students will also have the opportunity to participate in Dunwoody-sponsored activities and residential life programming at the complex. Student Affairs staff will be onsite facilitating this experience as well as providing support to Dunwoody residents. 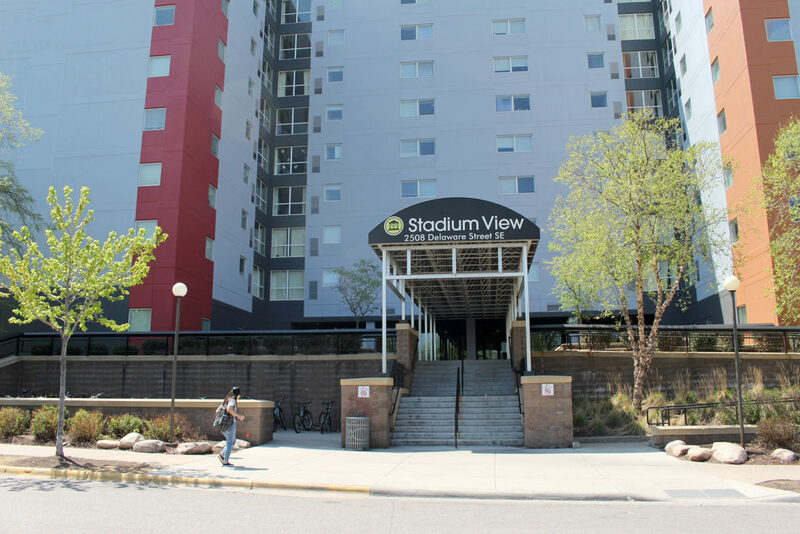 Move-in day for Stadium View apartments will take place on August 18. Housing applications are still being accepted. To apply, Contact Dunwoody Student Affairs at 612.381.8200 or studentaffairs@dunwoody.edu.